Benny, Banksy and Boydie, AKA the BasketBall Blokes, here for your Round 16 NBL Fantasy guide. Well the curse of the big men was well and truly over Round 15, with Kay, Boone (Remember him), Long, Bogut and Wesley all in the top 7 fantasy scorers for the round. Although he put up 106 for the round, Coaches that traded out or continued to not have Bogut were happy if they had Kay, Boone and/or Long instead at much cheaper prices. So that brings us to week 16, with 3 rounds to go from here you gotta start making some bold moves to start moving up the rankings. Let’s see what the BasketBall Blokes are thinking for Round 16! These players have received major price rises after round fifteen. 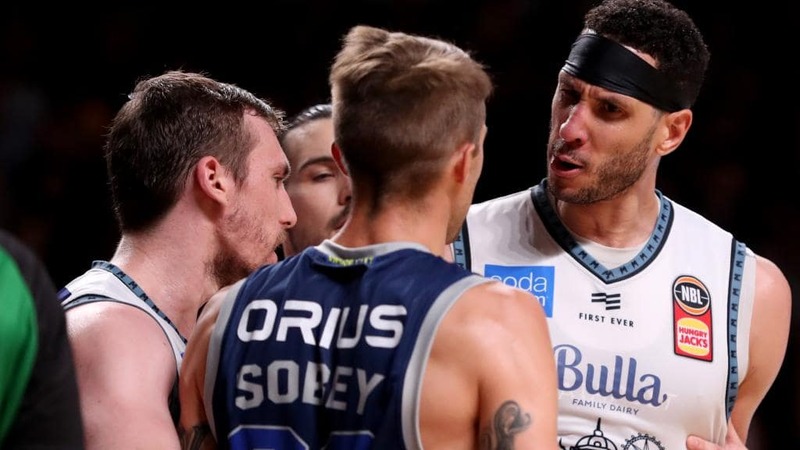 Three in form Melbourne United players lead the pack with the maximum price increase, and will be very trade relevant this week as United are one of just two teams with 6 games remaining to round out the season. These players have had the biggest price drops for the round. Bogut continues to fall in price, while Jawai’s stint of good fantasy form seems to have come to an end. After the week that was “doubles week” the schedule is not quite as fantasy friendly this week with Brisbane, Cairns, Illawarra, Melbourne, NZ and Sydney on doubles while Adelaide and Perth have singles, Perth for the next 2 weeks! Therefore your trade targets should be on these teams on doubles, with extra incentive for Melbourne and NZ players, as they are the only teams with doubles each of the last 3 rounds of the season. So Banksy’s mancrush Boone is very much an option based on his recent form, as are Casper, DJ Kennedy and McCarron. All are averaging 42 over their last 5 games, with Boone averaging 60! For NZ it the grown man, Wesley along side arguably the best big in the league Shawn Long. Both are averaging over 46 per game over their last 5 games and the only premium players on NZ’s roster worth grabbing. Cheaper options for NZ and Melbourne are Weeks (Bit down on recent form last round but still averaging 33 over last 5, and Richard (a 60 in last game!) as well as Barlow who while down on early season form is still averaging 27 over 5, but only 22 over his last 3 games. Finn Delany had a 44 in his last NZ game so he could be an even cheaper option if you need a cheap bench spot and want to take a risk! Picks of the bunch for the other Doubles teams are Bogut as always, Trimble, Patterson (although his last 2 game have been below his average) and for a riskier pick, AJ Ogilvy who had a 78 last round over 2 games, we know he is capable! For cheaper options, Steindl continued his up and down scoring year, Cedric Jackson had an improved last round, while Majok Deng and Jack McVeigh both scored well but now have a single in Round 16. 5. Trimble / Patterson – Both could sit at the 5th spot this week. Patterson faces Sydney twice and has scored 53 and 36 in previous matchups, while averaging 46 over his last 5. If you believe in the Birthday game hype like Benny, Trimble could also go big after averaging 50 over his last 5. Previous scores of 36 and 27 against Adelaide however, are something to be weary of. 4. DJ Kennedy – Scores of 61 and 68 in his last two, and a huge 73 in his only game played against New Zealand certainly look promising. The potential for McCarron to miss a game with his injury cloud could also consolidate further minutes for Kennedy. 3. Shawn Long – Only 39 and 33 in his two games played matched up against Boone, but remember these matchups were more so earlier in the season when Long found himself in constant foul trouble. The more recent version of Long has averaged 61 over his last 3 and 50 over his last 5, and with New Zealand needing to treat each game like a final to grab a playoff spot, they will need to continue to play Long big minutes and run the offence through him regularly. 2. Andrew Bogut – Bogut’s fantasy output has somewhat dipped in recent weeks, averaging just 44 over his last 3 and 49 over his last 5. Although these would be solid numbers for most, they are not the Bogut like numbers we have come to expect. Bogut faces Brisbane twice this week and has put up big numbers previously with a 92 and 57. Sydney are a little out of sorts and Bogut at times looks to be pushing through some back concerns, but we all know what the King is capable of when he goes big. You only have to look at that 92 in his first matchup against the Bullets! 1. Josh Boone – Earmarking Boone as a potential trade target post Round 12 wasn’t all that well received, as admittedly he went through a lean patch through United’s stretch of singles. Since Round 12, Boone has gone 75, 62, 53 and 85 with a bang! Averaging 66 over his last 3 and 60 over his last 5, Boone is the most in form fantasy player in the competition. With two matchups against Shawn Long looming, it is promising to know that Josh put up 87 last time out against the Breakers. Welcome back Booney!